Normally, I avoid re-pack boxes unless they guarantee something spiffy. A few years back, I bought a so-called Hockey Cube because it promised two autographed cards and a full set of 2010-11 Score Traded. This particular box of packs, repacked by the Fairfield Company in Iowa, made no promises, other than a 40% savings. Still, I was enticed by that pack of Be A Player, clearly shown in the right window of the box. We all know that Be A Player packs tend to have a higher ratio of autographed inserts than other sets. For $20 $12, I took a gamble to see if I’d pull an autograph. 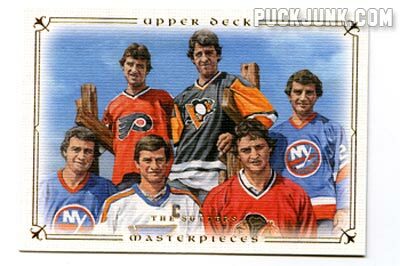 Here is the best card from each of the ten enclosed hockey packs. Well, my hunch paid off. 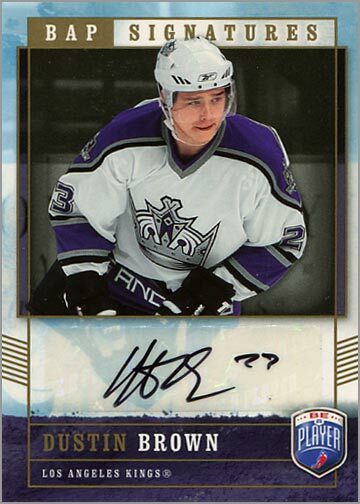 Mixed in with the four base cards was this autograph of L.A. Kings captain Dustin Brown. This pretty much made the break worthwhile for me. Sure, the card isn’t “worth” $20, but it’s cool to pull an autograph — especially of an established NHL star from early in his career. Believe it or not, this was not the only good card I pulled from this Extreme Value Box. 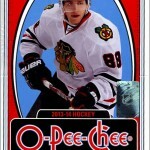 It would be hard to top an autographed card — especially when the next pack I open is from the 2008-09 O-Pee-Chee set. 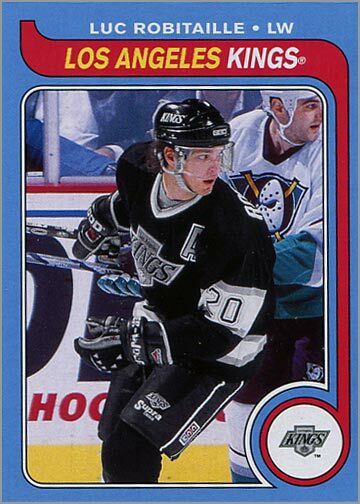 Garrett Stafford’s NHL career lasted 7 games. 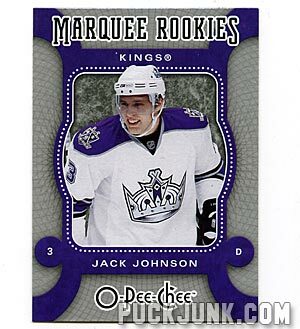 Nonetheless, it is still a short-printed Marquee Rookie card that someone would want to finish their set. 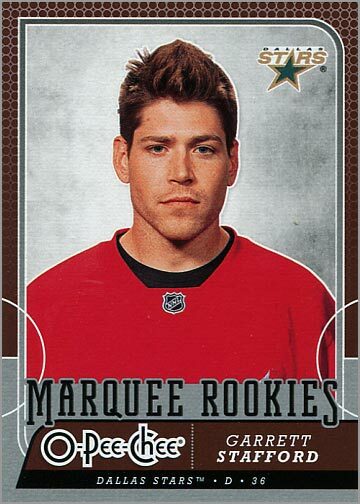 Though I am generally not a fan of parallels (except for awesome ones like the Robitaille shown above), getting a parallel is about the biggest thrill you can hope to get from a pack of Collector’s Choice. 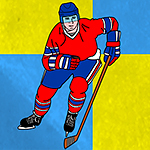 Purcell has had a solid career in the NHL over the past five seasons. 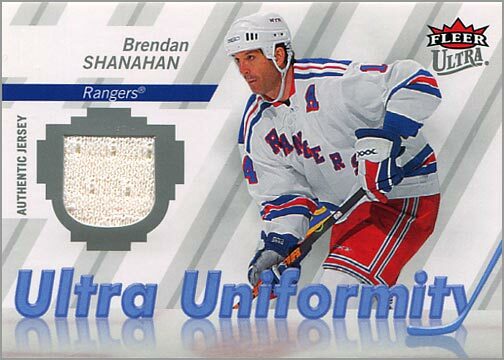 Again, getting a short-printed rookie card is always preferable to getting another base card. The pack had four base cards. 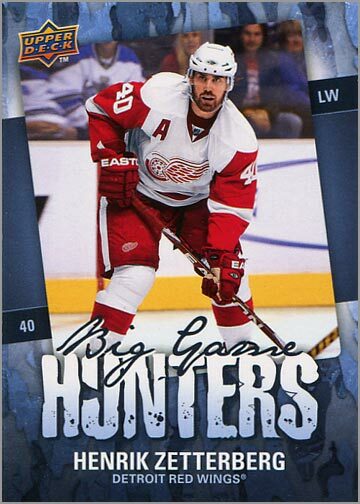 The Thomas Vanek card had a very bad crease on one corner, and I was never really a fan of Andrew Raycroft or Pavol Demitria (R.I.P.). 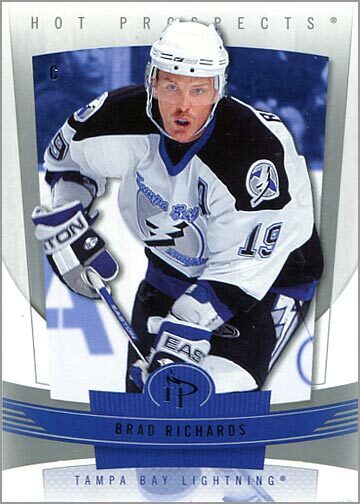 That makes this card of former Conn Smythe winner and current Chicago Blackhawks player Brad Richards the de-facto best card. Best Card: Oh $#!t…did they really throw a pack of ULTIMATE in here?!?!? Yikes…just yikes. I made the brazen assumption that all the packs in this box would be, you know, current. Come to think of it, Fairfield could very well put two recent packs in the front of the box, and fill the rest with packs of 1990s junk. Fortunately, there was only one such pack. It was of the laughably-bad Ultimate Draft Picks set. 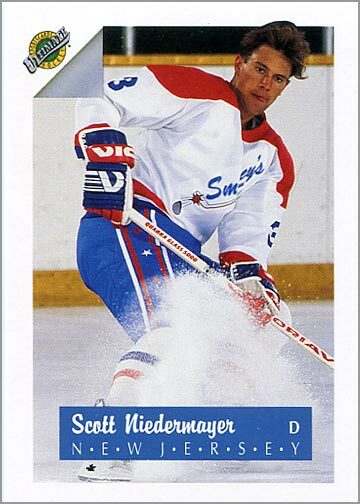 Since the enclosed instant win scratch-off game card is technically not a trading card, I’ll have to pick this pre-rookie card of Scott Niedermayer as the best card from the pack. 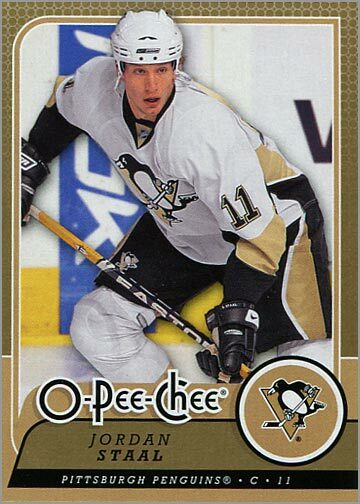 Best Card: Uh, they were all base cards, so Jordan Staal I guess. Is there anything more sad than opening a rack pack (or fat pack) and getting *only* base cards. Sure, I love base cards and all, but when you open something that is the equivalent of four or five packs, you should get AT LEAST ONE insert or short print. 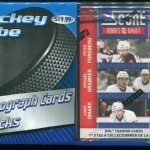 That’s Upper Deck’s fault, though, and not the repack company. …because it is not a base card. 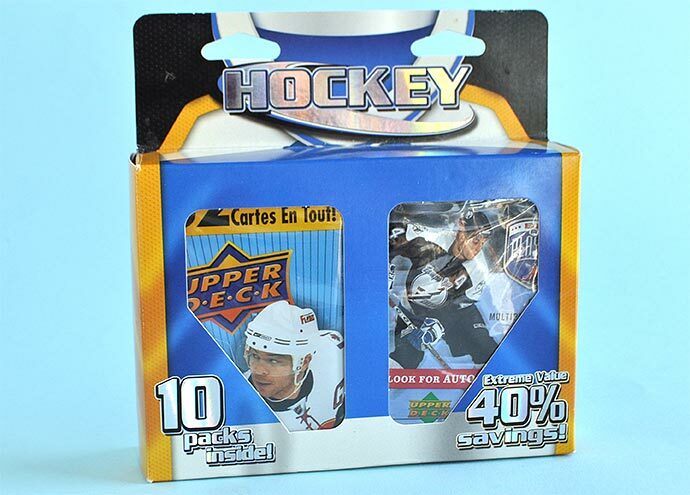 FYI, this rack pack also contained a base card of Cristobal Huet, a Victory Update card of Cristobal Huet and a Rookie Impressions of Luca Sbisa. It was a tough call choosing between two Huet cards and a card of a guy whose name I can’t pronounce (not really), but I had to go with Hank all the way here. How about that? This “extreme value” repack box had both an autographed card AND a jersey card. 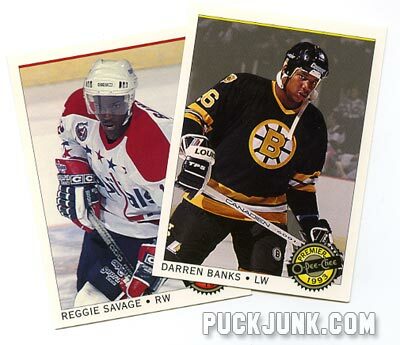 Both “hits” were of bona-fide NHL stars. So, was this box a “40% savings?” That depends how much value you put on packs that are five or more years old. If I remember correctly, Collector’s Choice was $1 a pack, OPC was $2 and Fleer Ultra, Be A Player and SP were $3 per pack. Rack packs retail for $5, but that Ultimate Draft Picks pack should be “valued” at no more than a quarter. By that logic, all these packs would have cost you $25 at the store back then. Thus, stating that this was a 40% savings is quite a stretch, considering that I paid $20 for this, but the same packs would have cost me $25 five years ago. Really, that’s more of a 20% savings. UPDATE (10/25/2014): The Extreme Value box only cost $12 (plus tax), and not $20 as I previously mentioned. My mistake. So, $12 is a pretty good price based on the original retail prices of what the packs sold for years ago. However, I still stand by my original statement about how much value one should put on these packs. 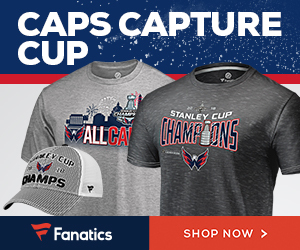 For example, is an eight-year old pack of Hot Prospects really worth $3? 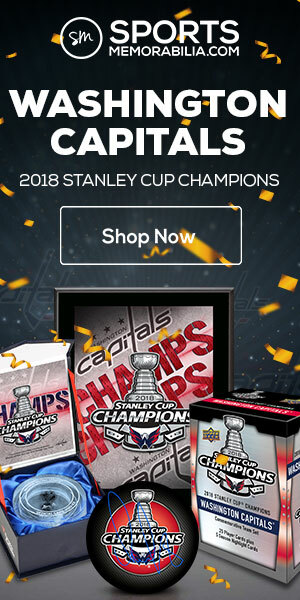 Is a pack of Collectors’ Choice from five years ago worth $1 per pack if you can get a whole 36-pack box for under $20? Still, I did pull a nice autograph and a decent jersey card. I’ll be tempted to try this again next time I peruse the card aisle at Target. 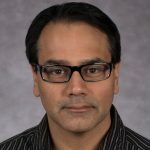 Subscribe to this blog and never miss a post. My subscription list is spam-free, and you can unsubscribe at any time. See the “Subscribe” box at the right, just above the Blogroll. 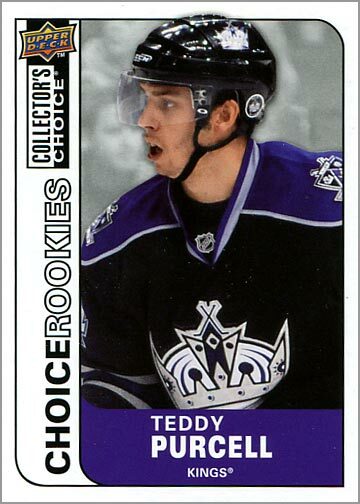 Those Kings you pulled look awfully cool – especially the Dustin Brown Auto – wanna trade? I’ve got a Adam Burish from 13/14 OPC and a Roman Cervenka from 13/14 Score that I’d gladly give for the Brown. I think I want to keep the Brown card. I like Burish, but only as a ‘Hawk. Thanks for the offer, though.